NEW YORK (CelebrityAccess MediaWire) — Clear Channel Media and Entertainment and Warner Music Group have announced that they have formed a new strategic partnership aimed at driving digital growth, increasing radio listenership, breaking new music and creating new marketing opportunities for established artists. The deal will see Clear Channel offer WNG the opportunity to promote their s artists on all of Clear Channel's platforms, including the company's radio outlets, and live events, as well as their online streams, and iHeartRadio programming. In exchange, WMG will share in the revenue generated on all of Clear Channel's platforms. Clear Channel will also develop new, targeted user interfaces that make it easier for listeners to purchase music from artists when they hear it in an effort to leverage radio as a music discovery platform. 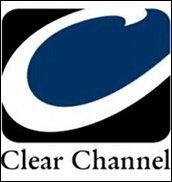 Clear Channel operates 850 radio stations nationwide, drawing 243 million monthly broadcast radio users and sees 60 million monthly unique visitors across its digital properties and its iHeartRadio theaters. As well, more than 143 million people a month are exposed to Clear Channel's outdoors offerings such as billboards.